How can I remove the ‘Powered By Kiosk Pro’ tab at the bottom of the screen? 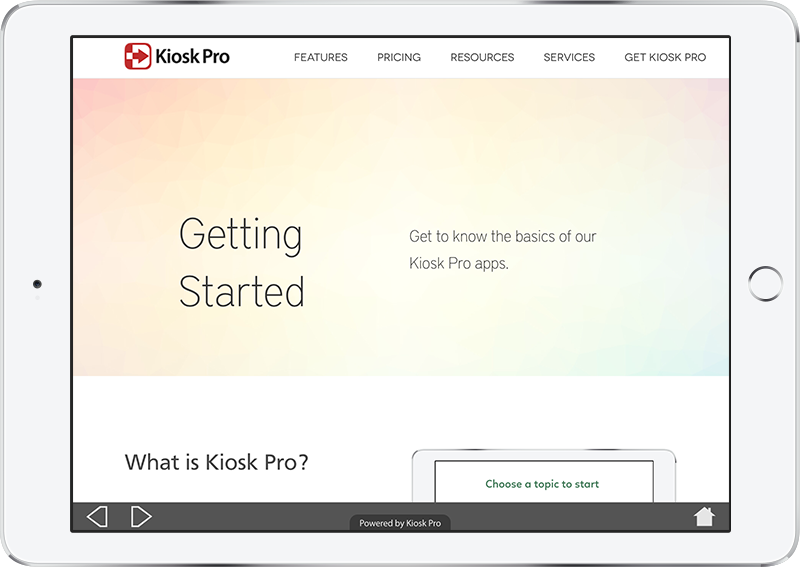 The ‘Powered By Kiosk Pro’ tab is only included in our free Lite version and cannot be turned off in that version of the app. It can be removed by upgrading to any of the paid versions of the app, including our Basic, Plus, and Enterprise versions. The tab is shown at the bottom of the screen and overlays both the bottom navigation bar and user content. It is translated automatically if the iPad is set to a supported language other than English.